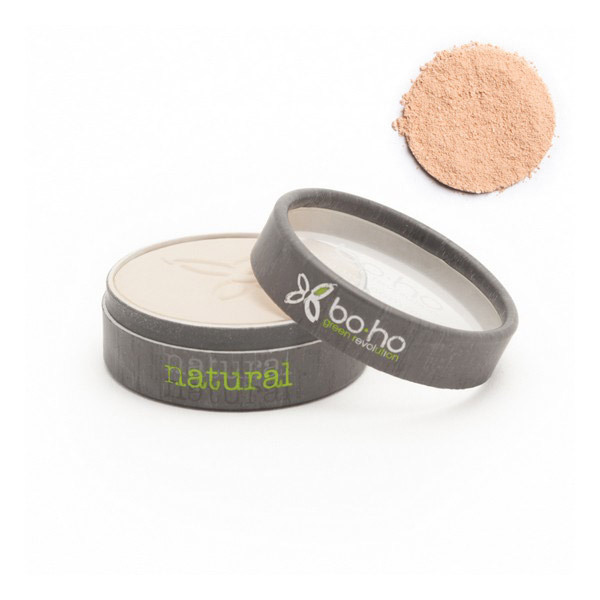 Boho Green's compact powder gives a matte and unified complexion.
. Label "Lyon, ville équitable et durable"
Founded in April 2012, the French brand Boho Green offers a complete range of organic cosmetic products at affordable prices. All Boho Green products are certified organic as well as Cosmebio & One Voice, which means they are not tested on animals. The packaging is recyclable and made ​​of recycled cardboard and plastic. With Boho Green say YES to natural beauty!